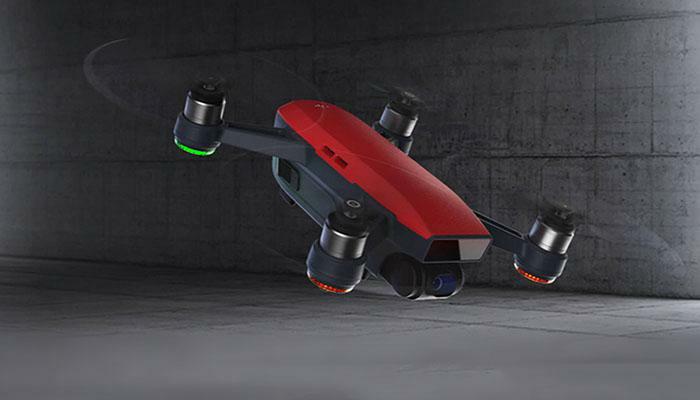 Xiaomi’s entry into the RC drone market provides more options for drone enthusiasts. 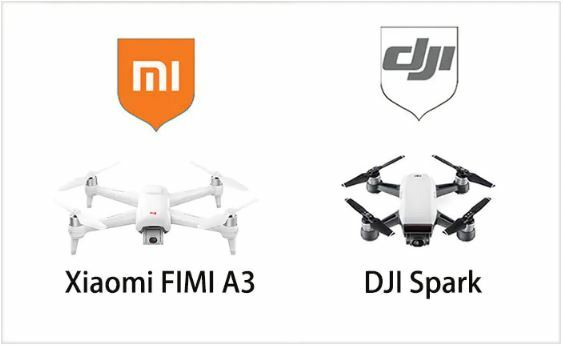 The previous released Xiaomi 4K drone and Xiaomi MITU drone have gained wide popularities globally. Recently, Xiaomi released a new done – Xiaomi FIMI A3, which is said to compete with the DJI Spark. Will the new FIMI A3 be a real DJI Spark killer? Let’s find out. We’ve already talked about the FIMI A3, Xiaomi’s latest drone, in a dedicated review post. After that, many readers asked if we can make a comparison between Xiaomi FIMI A3 and DJI Spark. So that’s the main topic we are talking about today. Now, we will explore the differences and similarities between the two quadcopters in full. At the very first look, the two drones do have quite a bit in common. They are both rectangular in shape, come with four propellers and have their cams located at the front. On the bottom, there are the batteries, ports and some basic controls. There is one very important difference, however. The DJI Spark measures 5.63 x 5.63 x 2.17 inches and weighs just about 300 grams. The FIMI A3, on the other hand, is significantly larger measuring 11.22 x 9.02 x 2.72 inches and weighs most double – 560 grams. Thus, with the FIMI A3, you have a much larger gadget – and this can be both a good and a bad thing. Having a compact drone like the Spark definitely makes it easier to move around and shoot while traveling. On the other hand, when it comes to piloting, a bigger quadcopter like the Xiaomi FIMI A3 may prove to be easier and give you more “feedback” as you are steering. The DJI Spark is sold as a “selfie drone” and we’d say that it’s perfectly sized for moving around. The FIMI A3, on the other hand, will take quite a bit more space and packing skills if you plan to bring it along on a trip. Since both drones are marketed as entry level devices into aerial photography, it really does matter what kind of cameras they come with. Unfortunately (but quite understandable for the price), neither drone comes with 4K resolution. 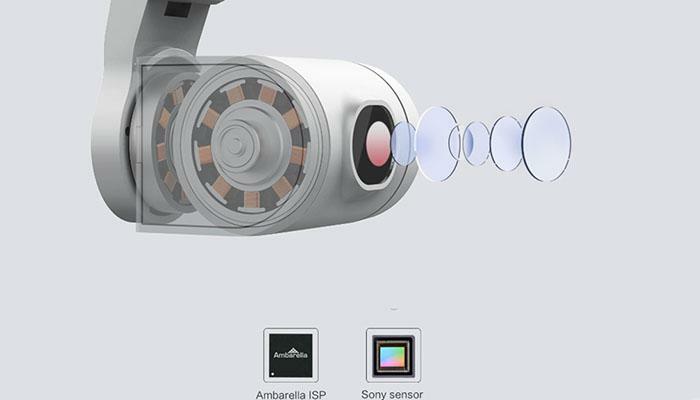 Instead, you get Full HD cameras on both the Xiaomi FIMI A3 and the DJI Spark capable of recording HD footage at 30 frames per second. The FIMI A3, however, features an 8MP sensor while the Spark sports a better 12MP one. Hence, you get a slightly higher image resolution with the Spark (3968×2976) compared to the FIMI A3 (3264 x 2448). Stabilization is definitely not something to underestimate on a moving gadget – and you get 2-axis gimbals on both drones to make sure your footage is not shaky. 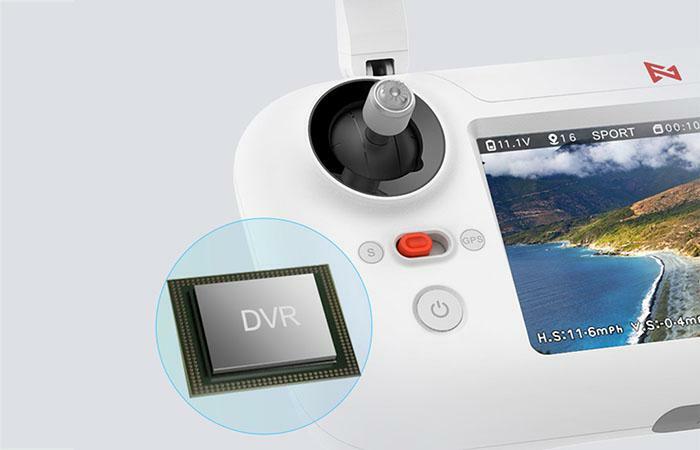 The gimbals will keep your quadcopter’s camera steady throughout the flight, which will ensure smoother videos. There are quite a few things that might fit under the performance category. When it comes to photo drones, however, we believe that these mainly include battery life, controller and smart flight features. 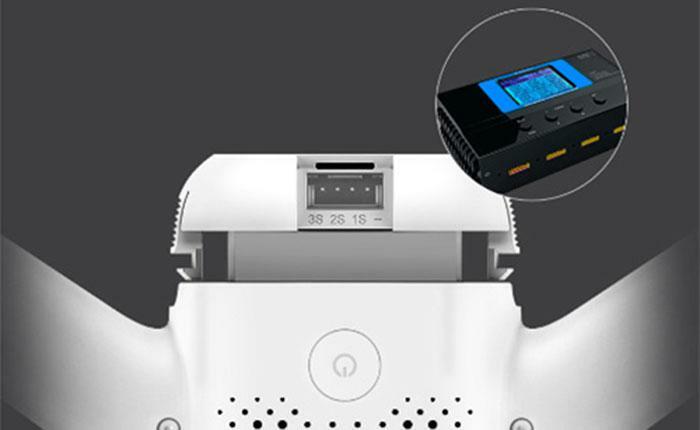 The DJI Spark comes with a 1480mAh 11.4V LiPo battery, which translates into about 16 minutes of flight time. The FIMI A3 comes with a significantly bigger battery (keep in mind that this is also a much larger quadcopter) – you get a 2950mAh battery onboard that, according to Xiaomi, will give the mini craft 25 minutes in the air. So, technically, you get quite a bit more time in the air with the A3 — but you will be piloting a larger and heavier craft. The good news is that both quadcopters come with dedicated controllers – this is especially good for pilots who are just starting out as you get plenty of real estates to learn steering the drone instead of just having an app to work with. There is a difference, however. With the FIMI A3, the physical controller is the only one you have – and you can get started with flying right away. The DJI Spark comes with both the controller and the app – and you can choose how you want to control the drone. Note that there will be some setup work involved and you will need to use your smartphone screen if you want FPV. 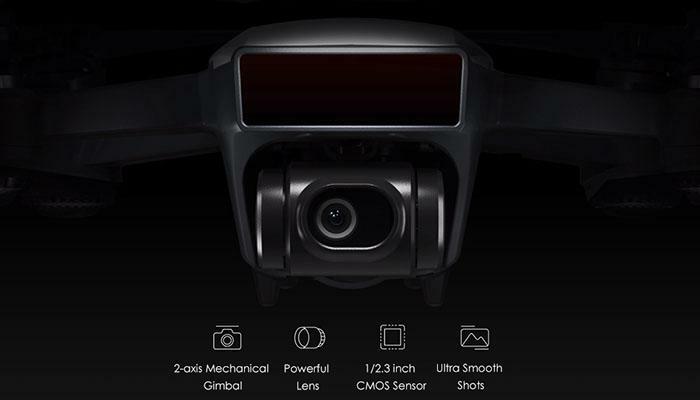 The FIMI A3, by contrast, uses a controller with a built-in 4.3-inch screen — so, you will be able to see what your quadcopter “is seeing” right on the controller. Both drones are well equipped for first time fliers. 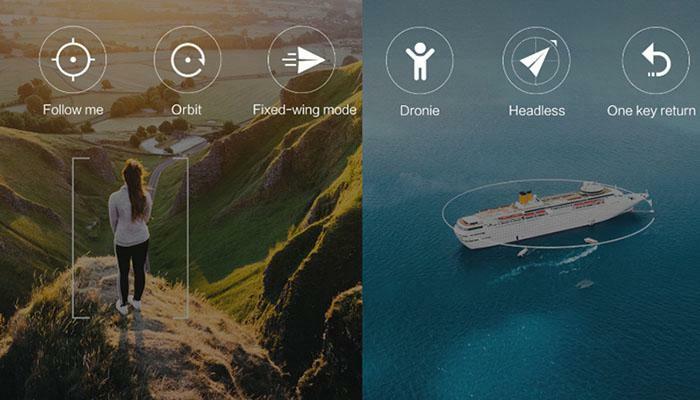 The Xiaomi FIMI A3 comes with the following flight modes: Orbit, Dronie, Fixed Wing Mode and Headless. 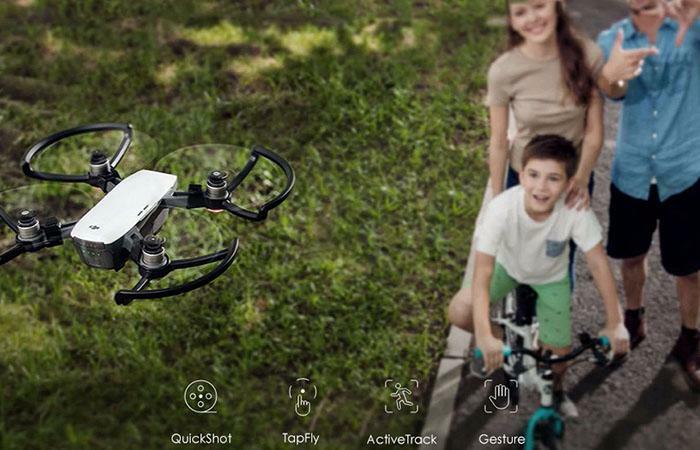 The Spark features Circle, Dronie, Rocket, Helix and Tap to Fly. 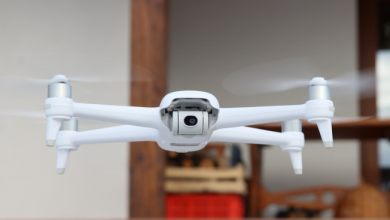 These are very helpful when you are just starting out in aerial photography and make both quadcopters popular recommendations for first time flyers. There are a few differences here as well. 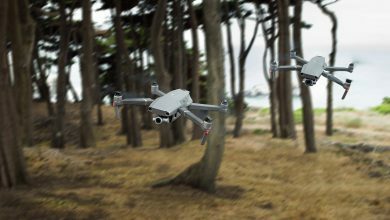 The DJI Spark comes with obstacle avoidance feature, which let’s the drone automatically avoid bumping into tree tops, roofs, houses, etc. There is also gesture control, which allows the pilot to send several commands to the quadcopter by using hand movements. Unfortunately, the FIMI A3 lacks both of these. With that, we have to give the Xiaomi FIMI A3 points for creativity. 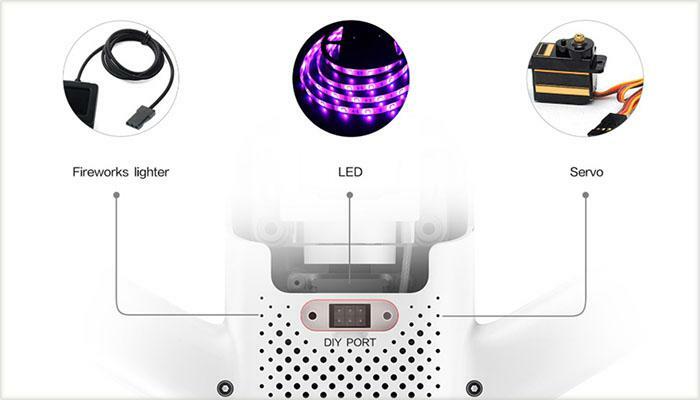 It comes with a special DIY port that lets you hook up external equipment: LED lights, fireworks controller, servo, etc. Both the DJI Spark and the FIMI A3 are marketed as entry level photography drones. This means that both of them are well equipped for your first steps in aerial photography and are also not as expensive as professional quadcopters. With that, the DJI Spark is sold for $439.99 (on GB on flash sale) while the FIMI A3 goes for almost $200 less than that – $268.99. So which one should you get? If you are looking for an entry level drone, both quadcopters are a good fit. However, the FIMI A3 is significantly cheaper than its counterpart. True, it is larger and quite a bit heavier – but, then again, it comes with a simpler setup and more straightforward control system. Thus, if you are looking for a beginner’s quadcopter, we’d say that the FIMI A3 is a more budget friendly version that does not lag too much behind its pricier option.